The rise of technology has done more than speed up the business world. Just think about how social media and how technological trends are changing faster than ever. Now that the Internet has been with us long enough to change the lives of those who are entering business, a new breed of worker is emerging. They are savvy, clever, and have an inbuilt entrepreneurial desire to change things for the better. They will apply intrapreneurial skills and leadership to the businesses who encourage and support them. The word ‘intrapreneur’ has been around for a couple of decades. It refers to any employee within the company who enables innovative practises to develop and flourish within that company. The advantage for the intrapreneur is that they can build on and use the skills and resources the company already has, unlike the entrepreneur who must rely on his or her own assets to bring an idea to fruition. Businesses need intrapreneurial employees to grow their innovation and growth, but sadly, not all see it that way, especially SMEs. Many business owners have a fear of encouraging someone who might interfere with the management of the business and cause disruption and stress. But is this what really happens? Globally, over the last few years, there has been a noticeable rise in intrapreneurship in the UK and the United States. That fact alone should cause SME business owners to think about the reality of their fears. The intrapreneur’s function does not rest with one bright suggestion. Their operational work should lead to the successful execution and development of ideas. They must take on the approach of the sole entrepreneur, using perseverance and resolve to overcome obstacles in the delivery of their new product or service. The only caveat to this entrepreneurial approach is that the intrapreneur must intentionally work with and for the company first rather than focusing on his or her own betterment. Who can we look to for this kind of focus? The big ones really stand out. Shutterstock, a digital image marketplace, developed Skillfeed, a marketplace of online learning. Steve Jobs evolved Apple from being an education and hobby computer company to a consumer electronics company. Wipro of India, originally a small vegetable oil manufacturer evolved into a software outsourcing giant. CEO Tony Hsieh of Zappos started by selling shoes and eventually developed the business into an online customer experience company, later bought by Amazon for $1.2 billion. Jeff Bezos of Amazon developed the Kindle line of readers, which now form about 60% of the e-reader market share, with a market capitalisation value of more than $100 billion. Those figures are mind-boggling. But they do prove one thing – businesses need those employees who have the intrapreneurial spirit, those who have the ability not only to manage priorities that are short-term but also to lead a team with the persistence necessary to reach a goal. They think of your business and workplace as an ‘incubator’ for their creativity. They love to talk to their work colleagues about their ‘bright’ ideas. They may have a desire to prove themselves through their own business venture in the future; however they can still contribute greatly in the present. They want to make a difference within the company, NOW. If you have an employee who fits one or more of those characteristics, count yourself lucky. Give them their head. Trust them. 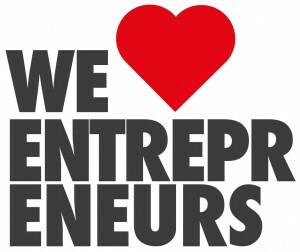 Let them be your intrapreneur.